Demotix/Oren Nahshon. All rights reserved.While the world was mourning the victims of the terror attacks in Paris, Beirut, Egypt’s Sinai desert, and elsewhere, Israel was occupied with other matters: how to make the best use out of these attacks locally, regionally, and globally. Let me explain what I mean. Globally, Israel used last week’s attacks to showcase its intelligence superiority. Israeli intelligence reportedly warned the US and UK about the possibility of these attacks, as stated in Israeli daily newspapers from both the Left and Right. This is not only a security related matter, but also a marketing strategy and branding tool that aims to place Israel as a more powerful player on the global ‘counter-terrorism’ map. When Arab countries claimed to have sent intelligence information to France, the Haaretz correspondent said the “west doesn’t trust Arab intel agencies…the western intelligence community is suspicious of links between Arab regimes and terror groups”. Israel, as the fourth biggest exporter of weapons and highest per capita arms exporter in the world, also used the terror attacks to showcase its military and surveillance technologies. Many of these weapons and technologies are being tested on the Palestinians in the West Bank and Gaza Strip before being exported. 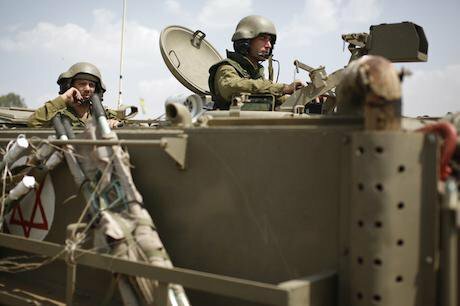 Over the years Israel has been able to test military strategies, technologies, equipment, and even weapons forbidden by international law, without any ramifications. Israel used the terror attacks to send a message to the world that more weapons are needed to defeat terrorism. However, I argue that the world needs fewer weapons and military mind-sets to be more secure, not the other way around. The logical outcome of more weapons in more hands is a higher probability of war erupting, and further usage of violent measures to address political problems. Regionally, Israel will likely use the Paris attacks to blame the US administration for its negotiation and reconciliation with Iran. But more importantly, Israel effectively plays two parallel roles in regional calculations: the potential victim of Iranian terror, but also a powerful actor in the fight against regional terror. In a region characterised by rapid and unpredictable changes, Israel is conveniently able to shift quickly between the two roles. On the one hand, Israel requests more weapons and military aid from the US administration to “defend itself” as a victim or potential victim of “terror”; on the other hand, Israeli Prime Minister Netanyahu simultaneously offers his help to Russian President Putin on Syria. It was reported that a security arrangement between Russia and Israel over Syria is in place in order to facilitate the direct exchange of intelligence information and prevent them targeting each other’s planes. On this occasion, Israel is playing the role of a powerful actor in the “war on terror”. Clearly, there is a tension between being a victim of terror, but at the same time a powerful force in fighting it regionally and globally, while practicing that same terrorism on Palestinians on a daily basis. The move to ban the Islamic Movement may contribute directly to the expansion of support for it. At the local level, Israel used last week’s attacks in Paris to further crack down on the Palestinians in the occupied West Bank and Gaza as well as in Israel itself, particularly relating to Palestinian citizens of Israel with Islamist orientation or ideology. On Tuesday, the Israeli government banned and outlawed the country’s main Islamic Movement. “The Paris attacks provided the Cabinet with the support it needed to outlaw the Islamic Movement…as soon as the scope of the Paris attacks became clear, it was obvious that this was the right time. The whole world was reeling from Islamic terror. Moves of that sort have legitimacy, and the focus would be less on us now…It is just too bad we didn’t do it earlier”. It was astonishing how quickly Israel was able to criminalise a socio-economic and political entity, raiding its head offices and 17 movement-related charities and organisations. Israel based its banning of the Islamic Movement on emergency regulations from the British Mandate period. Adalah, the Legal Center for Arab Minority Rights in Israel, views this decision as a “violation and crackdown on the Islamic Movement's rights to freedom of association and political expression, and harms the Palestinian-Arab minority in Israel as a whole." Israel frequently uses military regulation-based political actions to threaten parties and groups in addition to the explicitly targeted one. This represents a further manifestation of the “matrix of control” that Israel deploys to sustain and tighten its colonisation and occupation of the Palestinians and their lands. Despite the head of Shin Bet’s objection to the move to ban the Islamic Movement, the Israeli government clearly favoured the international dynamic over the local one—in other words, using particular global and regional events to act locally. It might not take so long until the Israeli government regrets this decision, as it may contribute directly to the expansion of support for the Islamic Movement, possibly with further underground radicalised actions. As the forbidden becomes more tempting, Israel seems to fail, once again, to learn from decades-long lessons. But it might also be argued that Israel intentionally initiates the vicious cycles and circles of conflict and violence. Regardless of one’s views on the Islamic Movement in Israel and its values, ideology and beliefs—especially when it comes to internal Palestinian politics, women’s rights and role of religion in life—the attacks on the Movement is an attack on a major segment of the Palestinian people, and therefore it is an attack on Palestinian existence. This belief is shared by the leaders of the Joint List headed by Ayman Odeh. A similar incident happened not long ago on the ‘other side of the Green line’ in 2006, when Hamas, the Islamic Resistance Movement, won a majority of seats in the Palestinian Legislative Council elections. Arguably, if the international community had not boycotted and sanctioned Hamas and the Palestinians at the time, today we would be in a different position, possibly without an intra-Palestinian divide, and possibly closer to a lasting peace and justice. This peace matters not only for the Palestinians and Israelis, but also regionally and globally.